Our mission is to promote conservation and restoration of natural resources in central Pennsylvania through land conservation, water resource protection, and environmental outreach to the community. Working together for people and place to nurture a healthy environment and thriving communities in the heart of Pennsylvania. Focus on the Future: We are optimistic about the future of Central Pennsylvania and the ability of our communities to conserve their ample beauty and bounty now and for future generations. Lead through Engagement: We lead by engaging all who wish to collaborate in effective and lasting conservation. Inspire Exploration and Curiosity: We value education and foster a strong sense of place to encourage lasting citizen stewardship. Apply Sound Science: We make strategic choices guided by objectivity, current science and innovation. Strive for Impact: We guide the community in setting and achieving aspirational goals for environmental health and justice across the region. 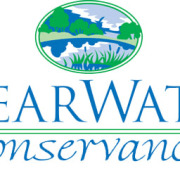 Would you recommend THE CLEARWATER CONSERVANCY OF CENTRAL PENNSYLVANIA INC?